Microerosion → Preheating → Coated Flux → Tin Spray → Cleaning. Degreasing → Microerosion →Acid Washing → Pure Water Cleaning → Organic Coating → Cleaning. This process control is relatively easy compared to other surface treatment processes. nickel / gold plating can also prevent the dissolution of copper, which will benefit lead-free assembly. The general process of electroless nickel plating / gold leaching process is: acidic cleaning → microerosion → preleaching → activation → electroless nickel → electroless gold. It involves mainly 6 chemical tanks, using nearly 100 chemicals, so process control the system is much more difficult. 4. Silver immersion process between organic coating and electroless nickel/gold plating, the process is relatively simple and fast. 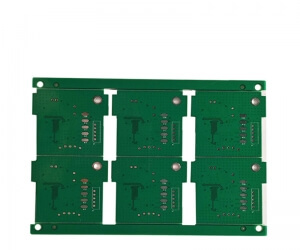 It is not as complicated as electroless nickel/gold plating, nor is it a thick layer of portective layer for the PCB, but it still provides good electrical performance. Silver is gold's little brother, even when exposed in hot, wet and polluted environments, it can still maintain good weldability, but it will lose luster eventually. Silver leaching does not have the good physical strength of electroless nickel/gold leaching because there is no nickel under the silver layer. In addition, silver immersion has good storage, and there will be no large assembly problem after a few years of silver immersion. Silver leaching is a substitution reaction, which is almost submicron pure silver coating. Sometimes the leaching process also contains some organic matter, mainly to prevent silver corrosion and eliminate silver migration problems. It is generally difficult to measure this thin layer of organic matter, and analysis shows that the weight of the organism is less than 1 %. 5. Since all solders are currently tin-based, the tin layer can match any type of solder. From this point of view, tin immersion technology has great development prospects. However, tin whiskers appeared after the previous PCB was impregnated with tin. During the welding process, tin whiskers and tin migration will bring about reliability problems. Therefore, the use of tin leaching technology is limited. Later, organic additives were added to the tin solution, which can make the tin layer structure granular, overcome the previous problems, and also have good thermal stability and weldability. The tin immersion process can form a flat copper tin intermetallic compound, which makes the tin immersion having the same good weldability as the hot air leveling without the headache of the hot air leveling problem. There is also no diffusion problem between chemically plated nickel/impregnated metals-copper tin intermetallic compounds as it can be firmly bound together. 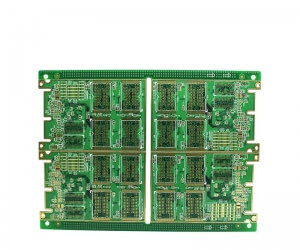 Tin immersion board can not be stored for too long and must be assembled according to the order of immersion. 6. Other surface treatment processes have less applications. As decribed below, relatively more electroplating nickel gold and electroless Palladium plating processes are used. 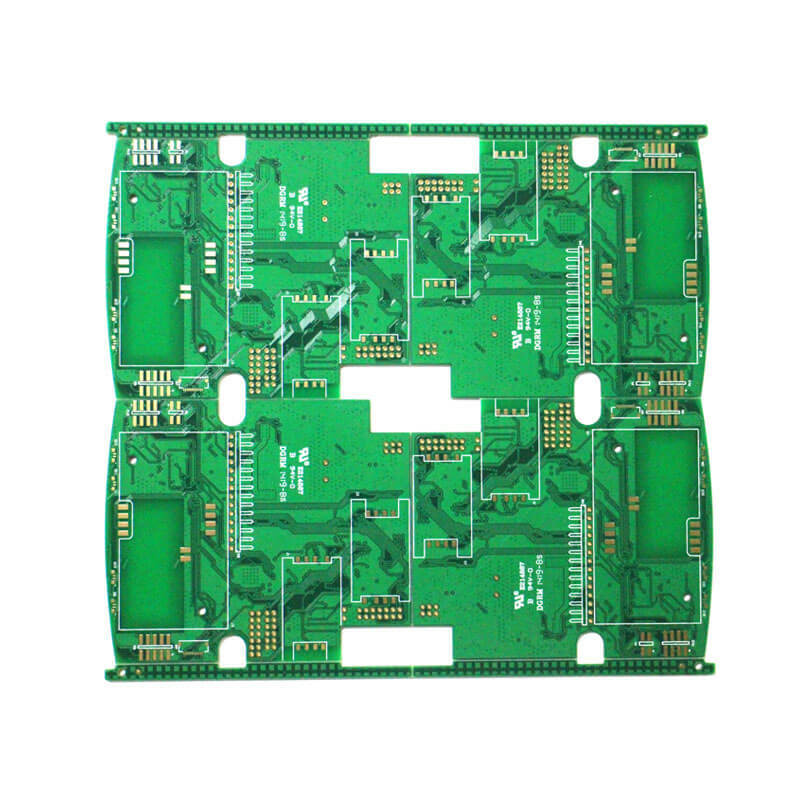 Electroplating nickel gold is the originator of the PCB surface treatment process. 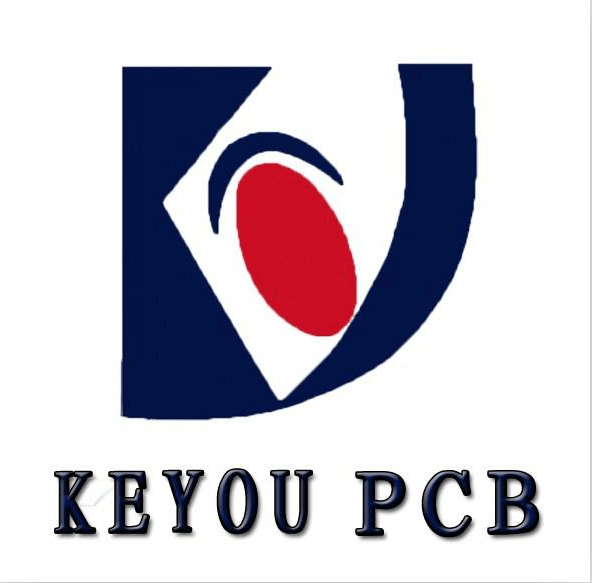 It has appeared since the beginning of PCB and has slowly evolved into other methods. 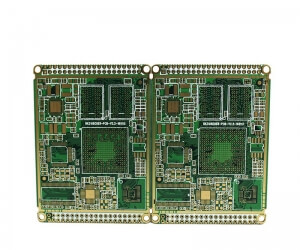 It is plated with a layer of nickel and then a layer of gold on the PCB surface conductor. Nickel plating is mainly to prevent the diffusion of gold and copper. 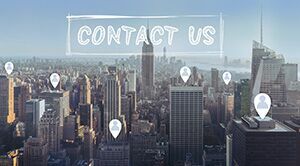 There are two types of electroplated nickel gold: plated soft gold (pure gold, gold surface does not look shining) and Plated hard gold (surface is smooth and hard, wear resistant, containing other elements such as cobalt, gold surface looks brighter). Soft gold is mainly used for gold wire when chip packaging; Hard gold is mainly used for electrical interconnections at non-welding sites. Considering the cost, the industry often uses image transfer methods for selective plating to reduce the use of gold. At present, the use of selective electroplating in the industry continues to increase, mainly due to the difficult control of electroless nickel/gold leaching processes. Under normal circumstances, welding will cause electroplating to become brittle, which will shorten the service life and therefore avoid welding on electroplating. However, chemical nickel/gold plating is very thin and consistent and brittle phenomenon rarely occurs. The process of electroless Palladium plating is similar to that of electroless nickel plating. The main process is to reduce Palladium ions to Palladium on a catalytic surface through a reducing agent(such as sodium dihydrogen phosphate). Neonatal Palladium can become a catalyst for the reaction, thus obtaining a Palladium coating of any thickness. The advantages of electroless Palladium plating are good welding reliability, thermal stability and surface flatness.